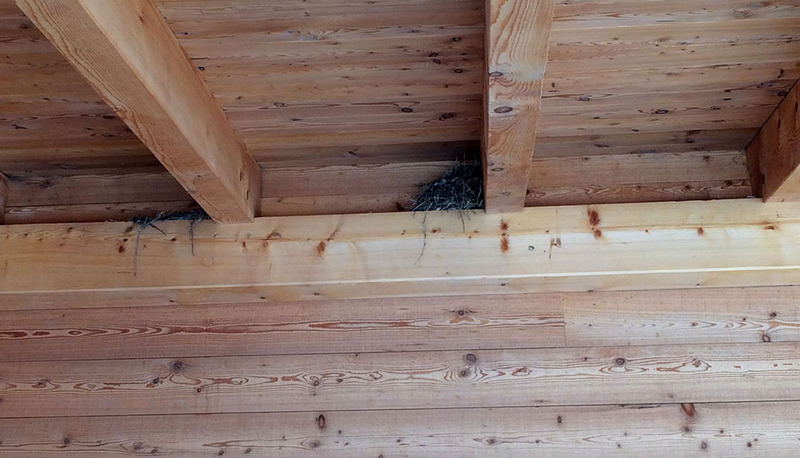 Just outside the kitchen door, high under the eaves, is a beautiful little bird’s nest. The birds dart in and out so quickly that I can’t see what kind they are. This flit and dip and dart around the garden gathering worms, and they have a pretty little song. I tiptoe in and out, since we’re only sharing quarters for a short time. This entry was posted in garden creatures and tagged birds, nest, worms. Bookmark the permalink.